The Lil' Bruin News is a student publication. 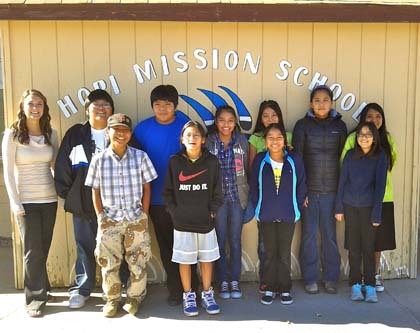 The newspaper staff, pictured below, is made up of 6th and 7th graders at Hopi Mission School. The newspaper features recent school and sporting events as well as Students of the Month and Staff Spotlight. The Artist Corner features art work, and student writing.